All the very best this Holiday Season!! I am very grateful for friends like you!! A most happy and wonderful Thanksgiving to you and yours Beth! HAPPY THANKSGIVING!! I am thankful today for the beautiful weather we have today and good friends. I have thank you so much. I hope your day was good as well. 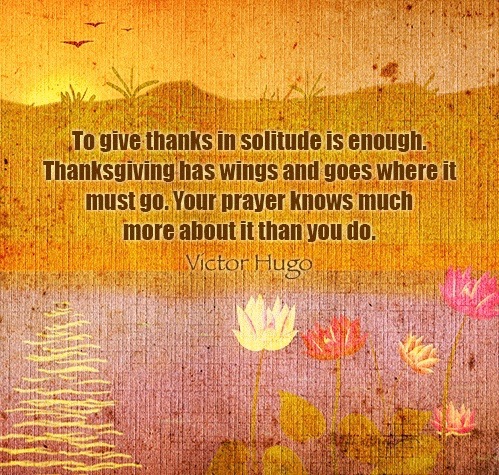 Victor Hugo wrote about Thanksgiving!?! Wow. And powerfully, too. You find such gems, Beth. thanks, brenda. i love discovering thoughts that are unexpected from unexpected people.